Hi everyone. Valentine's Day is just around the corner. 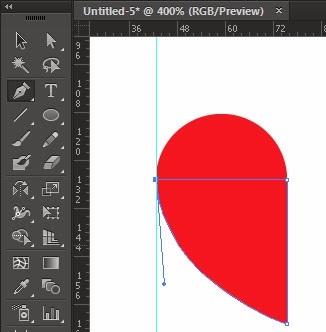 Here's a little beginner's tutorial about making a custom love shape in Adobe Illustrator using the ellipse tool, pen tool, align panel, reflect tool, guidelines and the pathfinder tool. 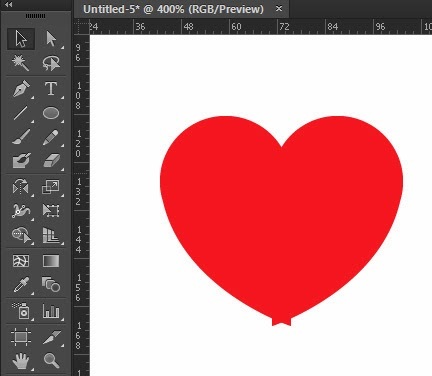 In this tutorial, basically, we're going to make one half of the heart first and then later we are going to make a copy of it, flip it horizontally, stick them together, make a few minor adjustments and finally getting your very own custom love shape. I'll start this tutorial off with the assumption that you've known how to open a new file, picking colors for your fills and strokes and selecting objects. 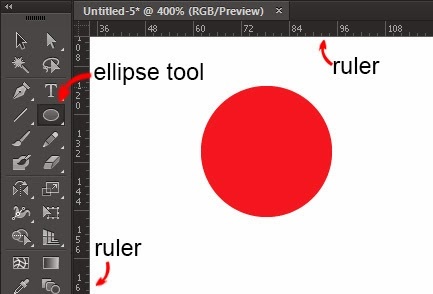 Click on the ellipse tool (L). If you want to make a perfect circle, hold onto Shift while making the circle. Now, we'll need the help of our ruler. Click Ctrl+R/Cmd+R and you will see the ruler around your artboard. 2. We need a vertical guideline to align with the circle. To do this, click and hold onto the vertical side of the ruler and 'pull out' a guideline. Next, open your Align panel (Shift+F7). We're going to align it to the left side of your circle with the Horizontal Align Left button. That's the first button on the left on the top row. Select both the guideline and the circle. When not selected, the guideline is light green. Now, click the Horizontal Align Left button. 3. Draw the bottom part of the half-heart. 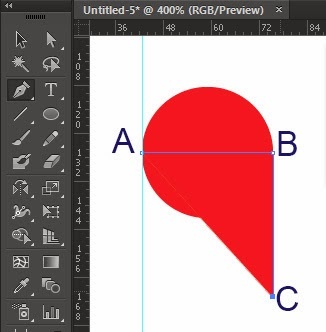 With the guideline and the circle still selected, click the pen tool (P). Now click onto the left anchor point (marked A in picture) of the circle. Next, click onto the right anchor point (marked B) of the circle while holding shift. Don't worry if it's not exactly on the right side of the circle. After that, click on somewhere slightly further than the bottom part of the circle while holding shift (marked C). Now comes the fun part. Pay attention. We're going to make a curve. Now, click onto the starting anchor point but don't let go just yet. After you've clicked onto the starting point, pull away from the point. You'll see one control line appearing from your starting anchor point. So long as you did not let go of the point, you are in control. So just play around with it and see what seems fit to your taste. 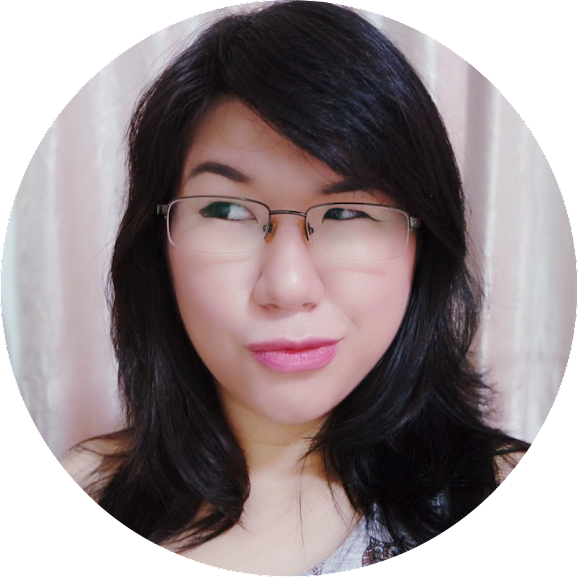 Once satisfied, let go of the mouse button. 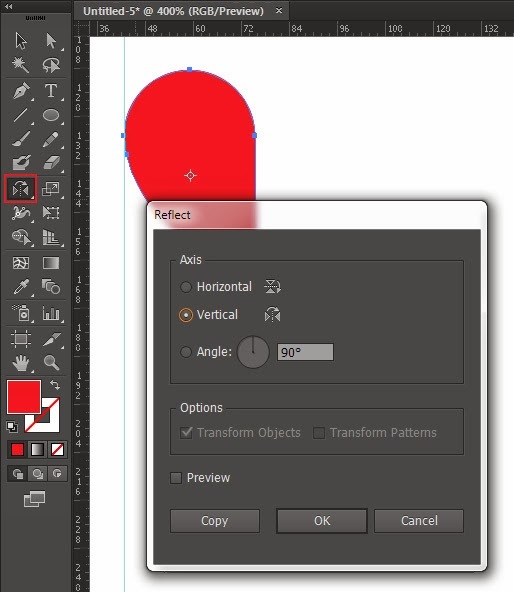 Select both shapes and then press Unite from the pathfinder panel. Voila! A half of a heart. You can make the guideline disappear by selecting it and pressing 'delete'. Now let's make a whole heart. 5. 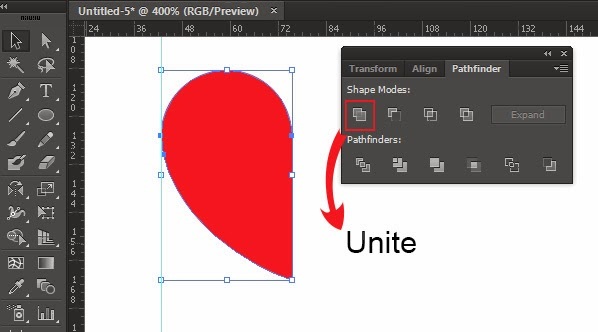 Make a copy of the half-heart. Click on it and copy it by pressing Ctrl+C and then pasting it with Ctrl+F. Now double-click on the Reflect Tool. This prompts the reflect tool options panel. Click on vertical. Click OK. 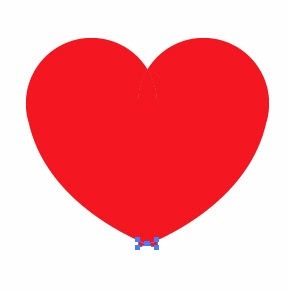 Pull the flipped half heart to the right. You can try arranging both of them to make a perfect heart by zooming in real close or you can try this method. Make them overlap like this. Then select both of them and then click on the pathfinder Divide tool which is the first left button on the bottom row. Right-click on your heart and click 'ungroup'. Click on the unwanted pieces - the two triangles at the bottom and delete them. Select the (broken) heart pieces and now click on the pathfinder Unite tool. So that's how I make my custom love shape. 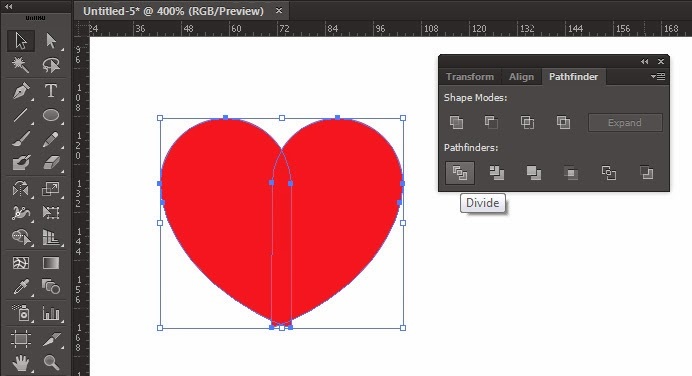 The reason why I overlap my hearts and use the Divide tool is to avoid lots of anchor points at the pointy shape of the heart. I mean, sure you can zoom in all you want but I find that this way I didn't even need to worry about the point. They can be such a pain when you need to design one with an outline. I hope you enjoy this tutorial. Do visit my other (upcoming) tutorials and if ever need any help, just drop me a comment. Thanks for reading this. Bye!